AT&T on Wednesday announced a strategic partnership with mixed reality start-up Magic Leap. As per the agreement, AT&T will become the exclusive wireless distributor of Magic Leap products for consumers in the US. The deal also includes an investment of an undisclosed sum into Magic Leap and grants AT&T’s chief observer rights with Magic Leap’s board. AT&T Communications CEO John Donovan said they are excited to pair their pioneering technologies, unmatched network, content platform and vast customer ecosystem with Magic Leap’s efforts to build the next generation of computing. The arrangement, he said, along with their 5G leadership position, will open up new opportunities and experiences. Magic Leap unveiled its first product in late 2017 following years of build-up. 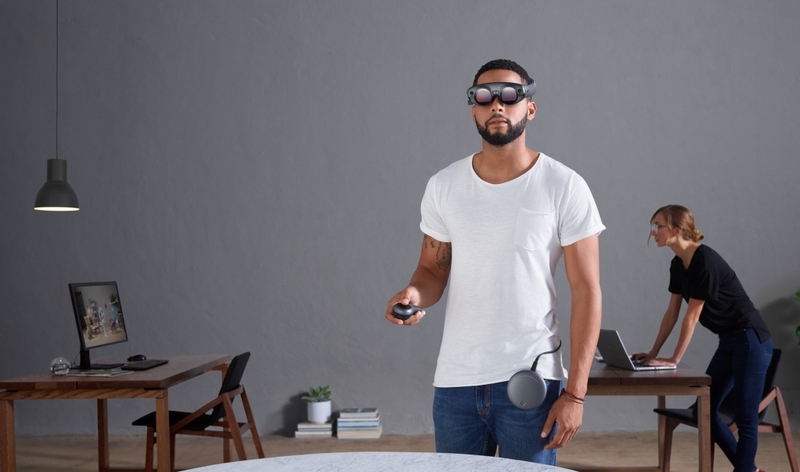 Magic Leap One, Creator Edition, is an augmented reality platform consisting of a steampunk-style visor, a wireless handheld controller and a puck-shaped processing companion known as the Lightpack that clips onto your waistband. The Creator Edition is scheduled to ship to qualified designers and developers later this year although pricing still remains a mystery. AT&T said that once available to consumers, its customers will be among the first to experience it at select AT&T stores in Atlanta, Chicago, Boston, San Francisco and Los Angeles before rolling out to additional markets. So I guess a future headline we can look forward to will be about the collapse of Magic Leap due to abysmal sales? I just don't know about this one, I want it to be amazing and their has been so little information around it people are assuming it is going to be bad. I am going to stay positive and think there must be a reason companies have been throwing insane amounts of money at Magic Leap after seeing demos under NDA. Our service "IS" AT&T and I still don't care to have this.